Prescribing a strategy for growth. 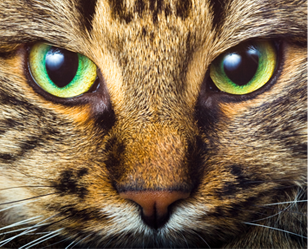 Hansen Global Enterprises is a small veterinary diagnosics developer who has been in business for over 25 years. Though the company had been successful, it was experiencing a shrinking of its market, largely due the expansion and predatory practices of large, global diagnostics companies. The company needed to develop a clear and contemporary brand to compete effectively with its larger competitors, and to position itself for expansion into new domestic and international markets. The company had done little or no marketing and had little or no name recognition. 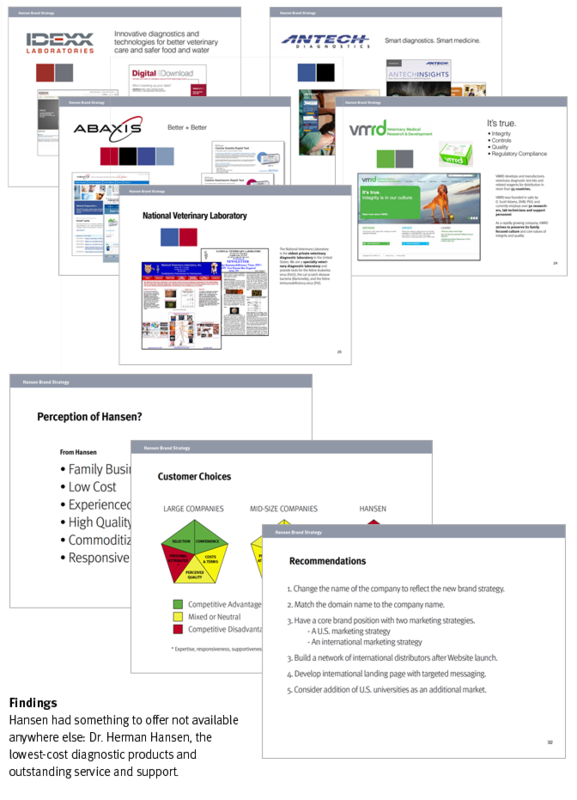 The company not only needed a brand, they needed a strategy to increase the size of its contact list, and guidance in the implementation of the plan. We did a thorough analysis of Hansen to increase our understanding of their market and the competition. We conducted secondary research and interviewed Hansen customers to understand Hansen’s true value. 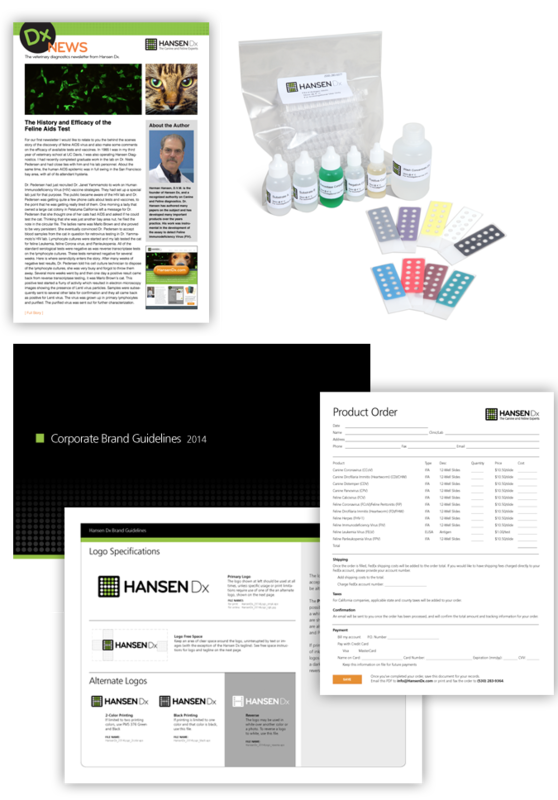 Hansen had something to offer not available anywhere else: Dr, Herman Hansen, the lowest-cost diagnostic products and outstanding service and support. 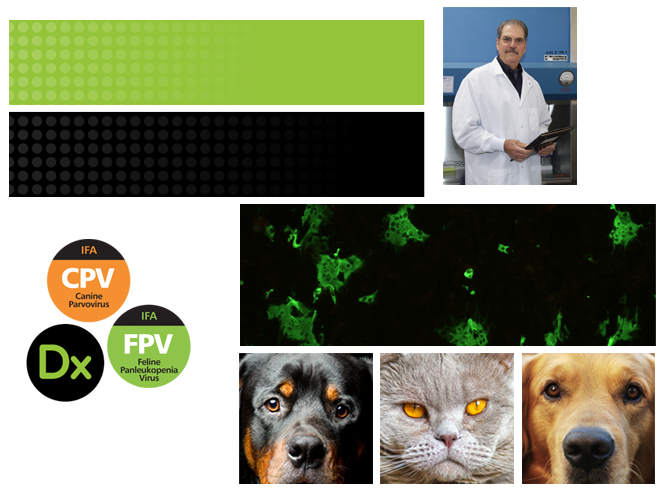 We built a brand language inspired by the green of the fluorescent assay images and the image trays used during diagnostic tests. 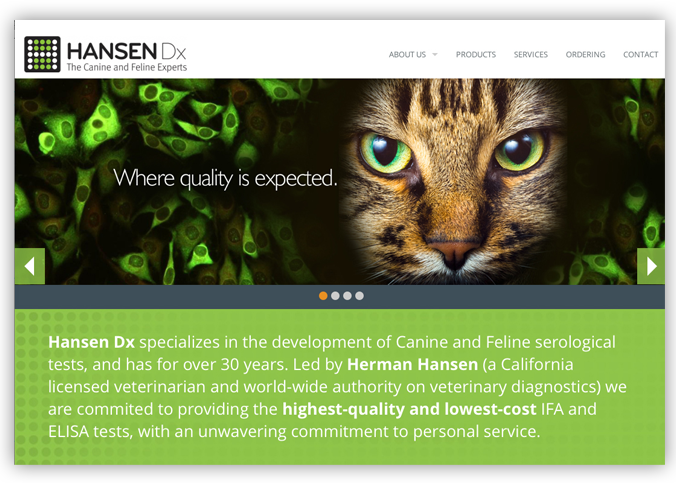 Graphic images of dogs and cats create a clear and distinctive position for Hansen Dx. 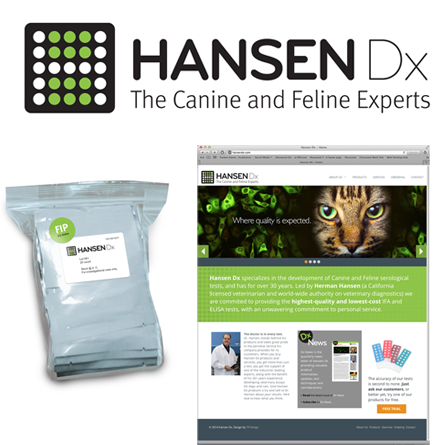 We developed the Hansen Dx brand guidelines, then began applying the brand. Hansen Dx is a true gem. Unlike many companies who have a higher opinion of themselves than their customers do, we found the opposite to be the case here. The founder is a brilliant but humble man, and a bit matter-of-fact about what his company does. Somewhat disillusioned by what business had become in recent years, it seemed to him that his products and services were being commoditized, leading him to believe the only way to compete was to get on board the no-win, slippery slope of being the lowest-cost provider. 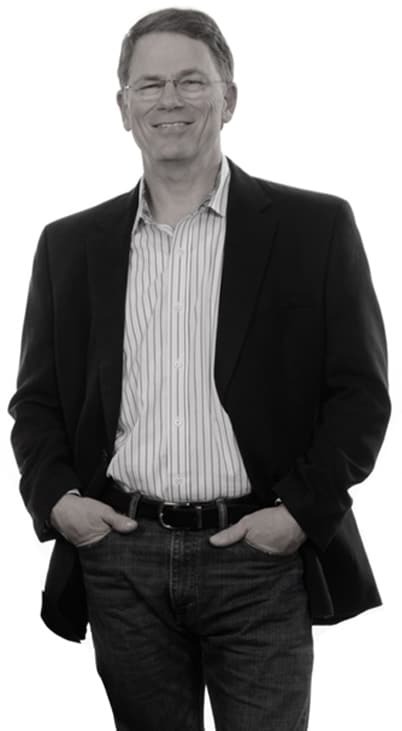 What we actually found when talking to his customers was that they actually had something very special to offer which no other competitor could provide… a reputation of developing important new diagnostic assays and a culture of unheard-of service and responsiveness. What a pleasure it was to help these people.